5'1 is the new 6'2: DATE NIGHT! Well I've enjoyed my time home -apart from the lack of variation and choice where fashion and beauty is concerned, though I have snagged myself a bargain or two, I can't wait to get to a true shopping center and see what the city has to offer! 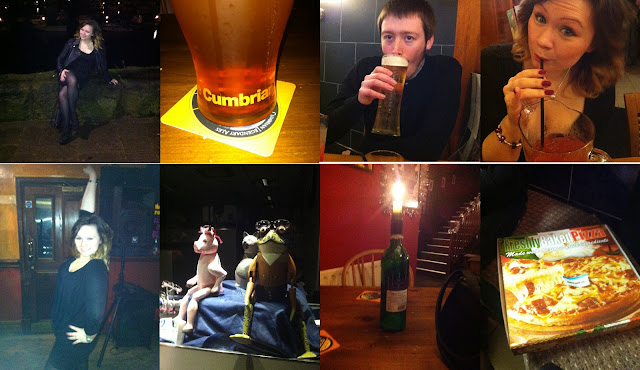 Last night was not your usual night out - Oh, no, I had a DATE NIGHT! So, I was going to give you guys a run-down on the night, but instead, as I don't think the idea of telling you when he made me swoon over a drink is appropriate, I'm going to try and make this evening more beauty/fashion related! I went for some reliable items I've had for a while eg. 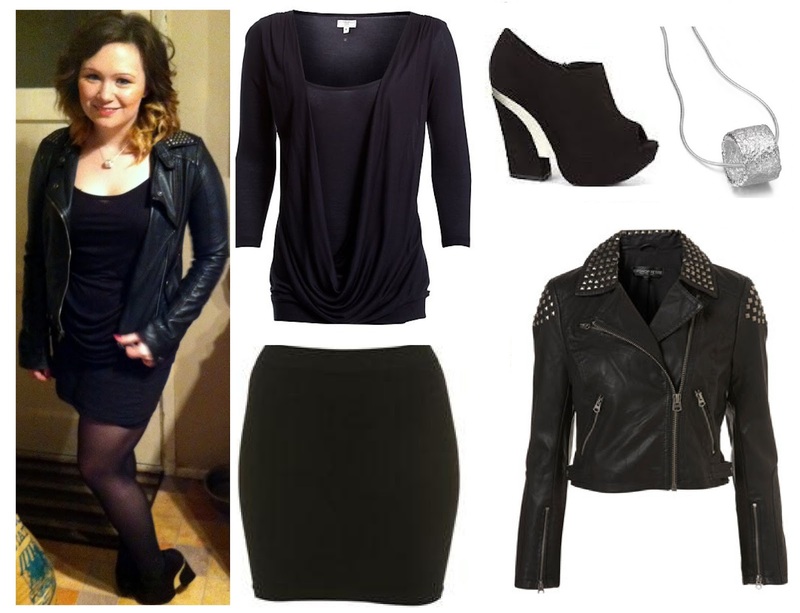 The leather jacket and the skirt, and partnered them with some of the newer items I got in the Boxing Day Sales. But also added a lil' extra piece of fabulousness to this ensemble - the LucyQ I got for Christmas! Eeek! I'm all for statement pieces, but everything I'd chosen made me look like I was feeling morbid - hint why I chose to wear the two toned heels and the leather jacket. I LOVE this jacket (Click HERE), it certainly is a statement piece when it's on, but it's versatile. But I do agree with other bloggers in saying a jacket can be the statement piece, not the dress, I've said this for years - simply for the fact, I value my health in the winter seasons - a jacket does NOT ruin the outfit... I think it helped really brighten this LBD look! I LOVE LOVE LOVE this new look! From the moment I discovered them on the MUA site and their own Blog, to the moment I went to my man, "I NEED them!" to when Mr.Postman faithfully showed up at the door on the Saturday morning - truthfully I would've hugged him, if it hadn't of been the guy that used to ask me out all the time! It's he curse of a small town! - These are fabulous! - A bit tricky to do the first time, but really gorgeous on and I had velvety/furry nails for my date yaaay! - There is a blog to come of it's own simply about these! Like I said, I'll spare my readers the gossip for once, and simply leave you with a few choice pic's from the evening... Enjoy! My personal favourite is the odd animals from the opticians we passed on the way to the bank! Hope you all had a fab evening as I did! Have any of you tried fur nails or got any ideas for more statement pieces to brighten up an LBD look? you look gorgeous, your heals are lovely! You look so pretty! I love your jacket. Cute date night!! your outfit is very cute. I also really appreciate the fact that you can go on a night out with your man :) I will never understand couples who can't go to a club together! Oh goshhhh! I have not even seen those Fur nails!!! They are beautiful! Eeeeekkk better get those little furry creatures onto my nails soon :-) Your date night looks cute and fun. Your outfit is cute. I absolutely love your jacket Rachel-Marie! The outfit looks insane and I love your nail fluff! I haven't heard of this before but shall be checking this out, so thank you :). You have a new follower!